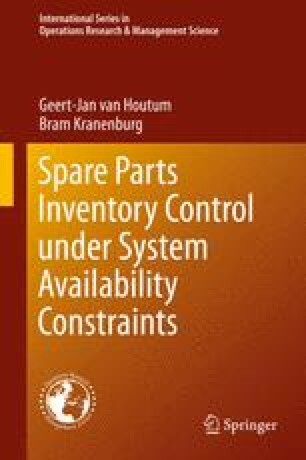 In this chapter, we consider a multi-item, multi-location, single-echelon system with the use of lateral and emergency shipments, basestock control and aggregate mean waiting time constraints. The local warehouses are divided into two types: Main and regular local warehouses. Lateral transshipments are allowed from main local warehouses only. A practical advantage of this structure is that only a limited number of local warehouses has to be equipped for providing (fast) lateral transshipments. This structure represents a form of partial pooling, with no pooling (zero main locals) and full pooling (zero regular locals) as special cases. We develop an accurate and fast approximate evaluation method, and exploit this method in a heuristic procedure for the basestock level determination. We show that only a small number of main locals is sufficient to obtain most of the full pooling benefits. We also apply our methods to case data of ASML.